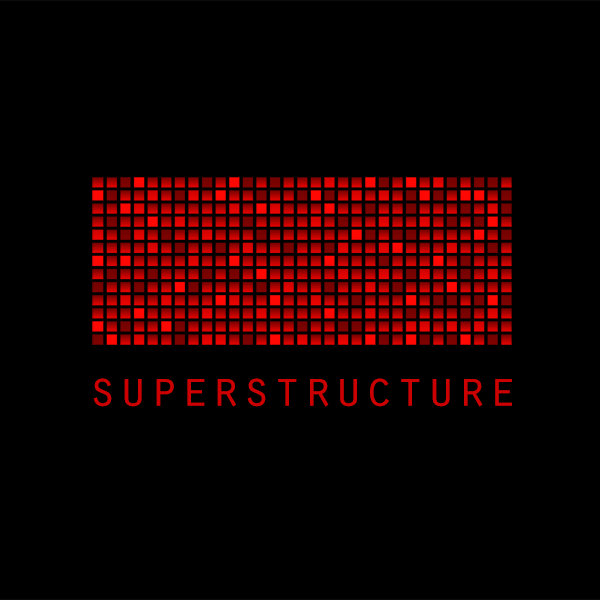 Superstructure is a synthesizer which concentrates on the popular supersaw waveform. There are five different supersaws waveforms carefully recorded from five different synthesizers including the Access Virus TI and Nord Modular G2. The waveforms were selected to cover as much ground as possible, meaning they are not trying to emulate the original supersaw from the Roland JP-8000 synthesizer, but rather make a broad take on supersaw waveforms that are popular in modern productions. of the finest supersaws ever made. Apart from the supersaw oscillators there is a suboscillator (a square wave from the Virus sampled with a crunchy lofi settings with our Casio FZ sampler), and for that instant chopped pad-gratification, we also added a trance gate effect with six predefined patterns you can choose from. This short example shows a few presets included with Superstructure. All melodies, chords and bass lines are MIDI files taken from the Myloops excellent trance library Trance Cosmos : Elements Volume 3. A big thanks to Jonathan Blakoe for letting us use his sequences for the demo. Requirements: Native Instruments Kontakt 4. IMPORTANT - Superstructure is an instrument for the Native Instruments Kontakt 4 software sampler. This product requires a fully working copy of Kontakt 4 to work. This is not a sample set. Please check out the FAQ before buying.